Whether you hunt, travel, or watch wildlife in your own backyard, you``ll favour the rock steady views seen through the 8x26 Vanquish - an excellent choice for viewing the widest variety of subjects in daylight. 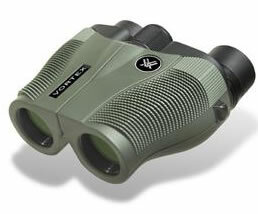 The Vanquish compact brings you high performance at a relatively low cost with this proven reverse Porro prism design. Quality optics work to deliver a bright, wide field that stays in sharp focus from near to far. 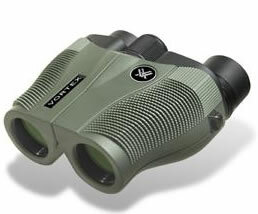 Vanquish any concerns for the weather with this rugged binocular. A inique diamond pattern in the grip area guarantees a solid hold no matter how hard the cold grips your fingers. Plus, you`ll discover how incredibly easy the Vanquish is with its single hinge design. In addition, the centre focus dial is within easy reach for quick focus on wildlife from less than eight feet and out. Whether you hunt, travel, or watch wildlife in your own backyard, you``ll favour the rock steady views seen through the 10x26 Vanquish - an excellent choice for viewing the widest variety of subjects in daylight. The Vanquish compact brings you high performance at a relatively low cost with this proven reverse Porro prism design. Quality optics work to deliver a bright, wide field that stays in sharp focus from near to far.